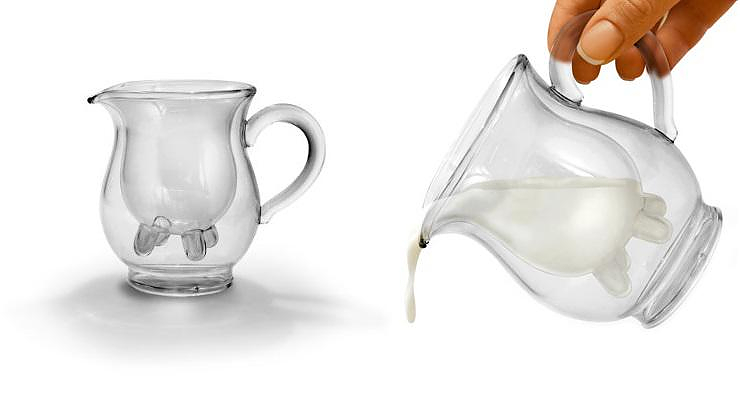 HomeBlogHome DecorCalf and Half Creamer Pitcher by Fred and Friends. 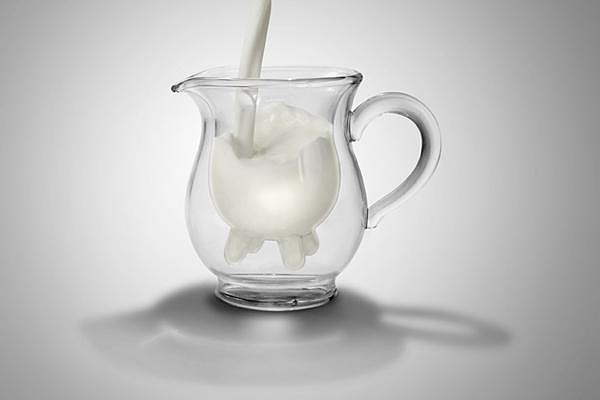 Calf and Half Creamer Pitcher by Fred and Friends. 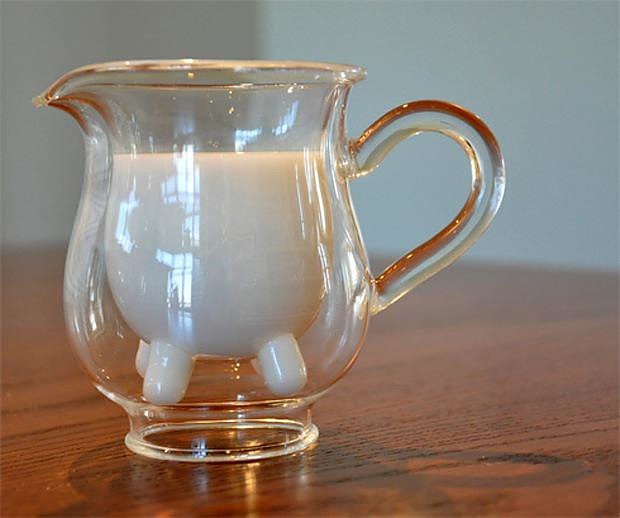 The Calf and Half Creamer Pitcher by Fred and Friends is handcrafted of double-walled glass and when it is filled with milk it forms the picture of four cow udders. 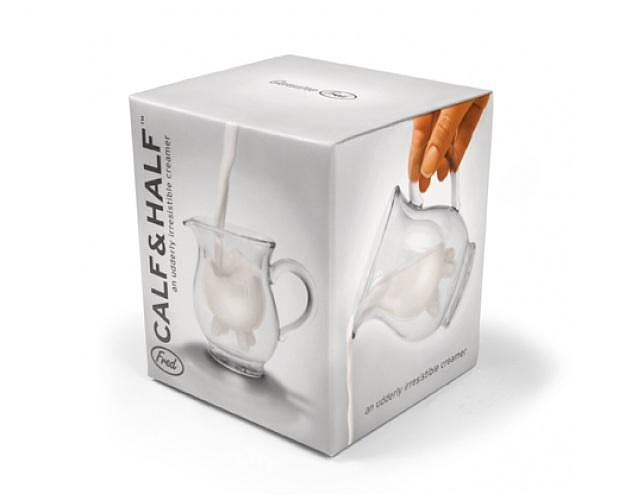 According to its designer, Liz Goulet Dubois, Calf and Half is a gentle reminder of where our nutritive milk, that we daily consume, really comes from. In other words, it is a playful tribute to our beloved cows. The design is fun but also practical. Its double-walled glass suspends liquids above its base for condensation-free use, while it also maintains the temperature of any liquid inside it better than a simple single walled pitcher. A simple and imaginative design that puts a smile effortlessly to anyone who sees it. 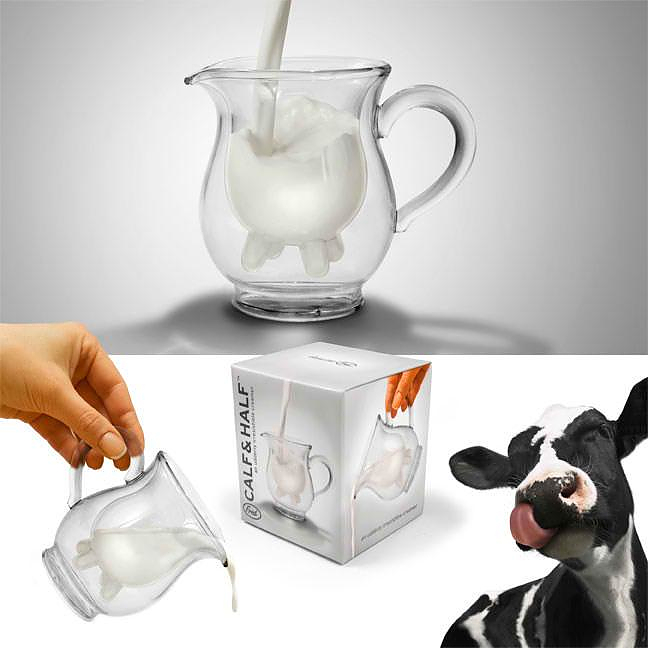 The Calf and Half creamer urge us to “milk” our coffee. Rainman Decanter by Matilda Sundén Ringnér.